Home Tags Posts tagged with "isis in syria"
Brett McGurk, the US special presidential envoy for the Global Coalition to Defeat ISIS, has quit over President Donald Trump’s decision to pull troops from Syria. He brought his departure forward from February. Before President Trump’s announcement he had insisted that the US would continue working against ISIS in Syria. President Trump described Brett McGurk’s resignation as a “nothing event”. Brett McGurk’s decision to quit follows the resignation of Defense Secretary Jim Mattis on December 20. General Jim Mattis had also opposed withdrawing troops from Syria as well as reducing the US presence in Afghanistan. Brett McGurk, 45, is an experienced diplomat who was appointed to his current role in 2015 under the Obama administration. In his resignation letter, seen by AP news agency, Brett McGurk said that ISIS militants in Syria were on the run but not yet defeated. He said that withdrawing US forces from Syria would create the conditions that gave rise to ISIS. In an email to staff quoted by the New York Times, Brett McGurk said President Trump’s decision to pull out troops “came as a shock and was a complete reversal of policy”. It “left our coalition partners confused and our fighting partners bewildered”, he said. 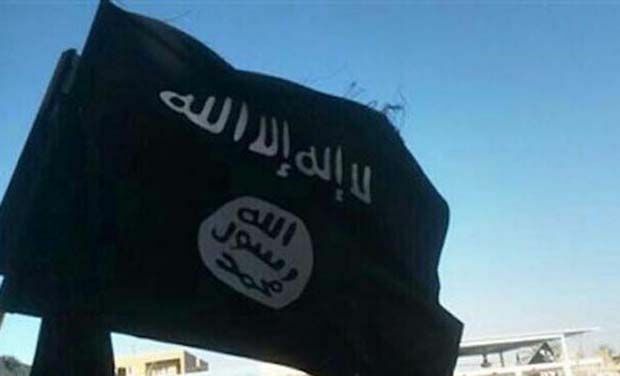 ISIS militants have reportedly captured the Syrian town of Maheen, in central Homs Province, from government forces. The fighters launched the offensive with two suicide car blasts on October 31, the UK-based Syrian Observatory for Human Rights says. Clashes were also taking place in nearby Sadad, a mostly-Christian town. The latest development comes amid air campaigns in Syria by Russia and a US-led coalition. ISIS has been expanding from its mainly northern and eastern strongholds towards Homs in central Syria in recent months. The group overran the town of Tadmur – home to the ancient ruins of Palmyra – and al-Qaryatain town. The latest offensive on Maheen and Sadad brings ISIS to within 13 miles of the main road that links the Syrian capital Damascus to Homs and other cities further north. The Observatory said at least 50 government soldiers were killed or wounded in the fighting. The attack on Maheen began late on October 31 with twin suicide car bombs, a favored tactic for ISIS militants launching an assault. By November 1 the Observatory reported that the whole town was reported to be in ISIS hands. An ISIS statement also said the group had taken Maheen. Maheen is home to a large military complex and arms depot. Meanwhile, clashes between government troops and ISIS are said to be continuing on the outskirts of Sadad. The town is home to Syria’s Assyrian Christian minority, where the ancient language of Aramaic is still spoken. It comes amid continued Russian air strikes in support of Syrian President Bashar al-Assad, which Russian officials say are targeting ISIS and other “terrorist groups”. However, activists on the ground say the strikes have been hitting moderate rebels and civilians in western areas, where ISIS have little or no presence. They said more than 60 people were killed by Syrian army raids and Russian strikes in the northern province of Aleppo on October 31. On October 30, more than 70 people were reported killed and hundreds more wounded in an air strike and shelling on a market in the rebel-held Damascus suburb of Douma. In an attempt to ward off the attacks, rebel groups in Douma are reportedly using captured soldiers and other people associated with the government as human shields. The US-led coalition, which is also hitting ISIS targets in Syria, said on November 1 it had conducted nine air strikes across the country, including in Mar’a and al-Hawl, in the north. This week the White House announced that fewer than 50 US special forces troops would be sent to Syria to assist anti-government rebels in fighting ISIS. Separately on November 1, Syrian Foreign Minister Walid Muallem met UN peace envoy Staffan de Mistura in Damascus to discuss ongoing international talks on the Syria conflict. 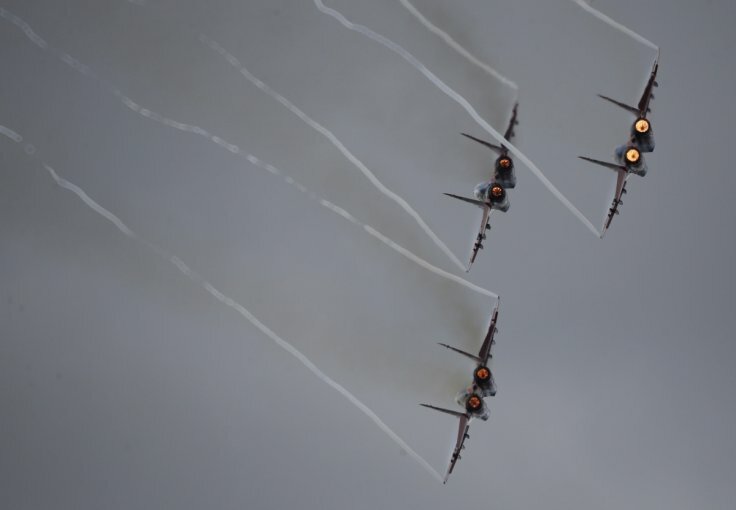 Russia has intensified airstrikes against Islamic State (ISIS) in Syria, its defense ministry has announced. The ministry said on October 10 that it had hit 55 ISIS targets in Syria in the last 24 hours. Later, US defense officials said progress had been made during talks with their Russian counterparts on avoiding accidents over Syria. 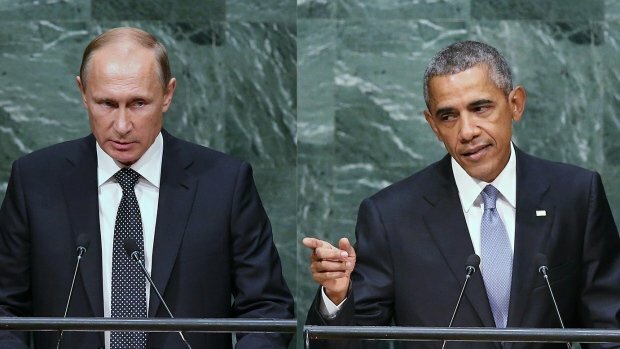 Syrian rebels and Western governments say Russia has mainly been hitting non-ISIS targets. 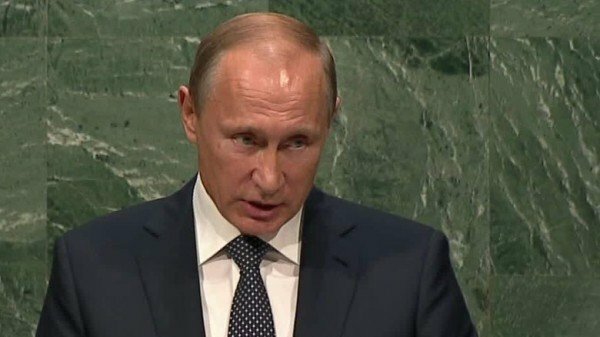 The US has accused Russia of running a “fundamentally flawed” campaign in Syria that risks further escalating the conflict there. On October 10, the Russian military said that the most recent airstrikes – carried out in the provinces of Damascus, Aleppo, Hama, Raqqa and Idlib – destroyed 29 “terrorist” training camps as well as 23 defensive positions, two command centers and an ammunition depot. To explain the intensified strikes it cited “a significant increase in the number of ground targets” located by air-based and space-based reconnaissance teams across Syria. While Raqqa in eastern Syria is an ISIS stronghold, the militants are not known to be strong in the other provinces. “In the initial stage of our operation, our aircraft destroyed the principal and largest logistical hubs of the ISIS terrorist group,” the Russian defense ministry statement said. Russia maintains that rebel fighters are running short of arms, ammunition and fuel, leading many rebels to abandon their combat positions and head for the country’s east and north-east. On October 10, officials at the Department of Defense said they had held a conference call of around 90 minutes on air safety during Syria bombing campaigns. “The discussions were professional and focused narrowly on the implementation of specific safety procedures,” a spokeswoman said, adding that another discussion would take place in the near future.